Dimensions: Overall Dimensions: 2"W X 7.6"D X 11.6"H; Spout Height: 9.2"; Spout Reach: 6.6"
This single hole faucet is perfect for vessel sink basins because of the tall height. 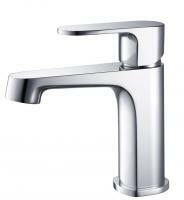 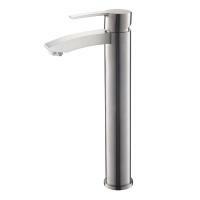 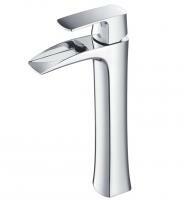 One lever is all it takes to control both the water flow and the temperature. 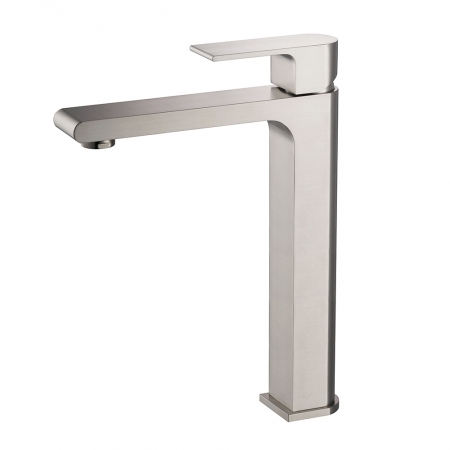 The brushed nickel finish has a soft sheen that looks great and is easy to clean.